KELOWNA – The deadline for registering wells and obtaining groundwater licences, an initiative aimed at establishing priority for water rights in BC, is fast approaching. But a growing chorus is calling on the province to postpone the deadline yet again due to ongoing issues getting everyone on board, not to mention challenges enforcing a regime in which fewer than 2% of potential licences have been granted. “We would prefer to see an extended deadline paired with a stronger outreach and education program, while streamlining the application process and response times to bring in more licensees as legal groundwater users,” wrote Anna Warwick Sears, executive director of the Okanagan Basin Water Board, in a November letter to Doug Donaldson and George Heyman, the two provincial cabinet members whose ministries are overseeing the registration and licensing process. She followed it two days later with another letter, asking the province to consider extending the deadline as late as February 29, 2024. “We suggest that the government work to a target level of 80% compliance, potentially adding three to five years to the transition period, with retention of priority dates and continuing the waiver of the application fee for that period,” she said in the second letter. However, the province rejected the request. Now, it appears to be warming to the concerns of Ted van der Gulik, a retired senior engineer with the BC Ministry of Agriculture who now serves as president of the Partnership for Water Sustainability in BC. Van der Gulik is also a director of the Okanagan Basin Water Board, but recently wrote his own letter outlining all the problems of enforcement and administering fines when government staff can’t even handle the applications they’ve received to date. 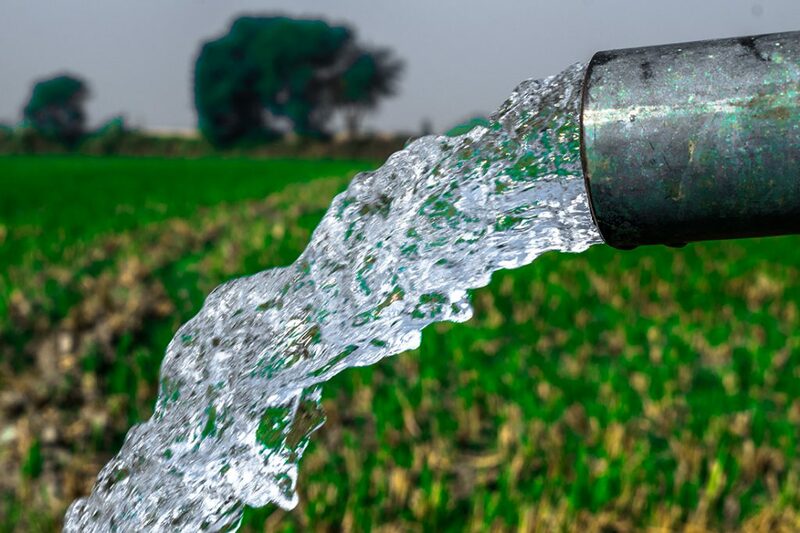 The province expects to register 20,000 wells but has received just 3,082 applications since it began accepting applications under the Water Sustainability Act (WSA) in spring 2016. 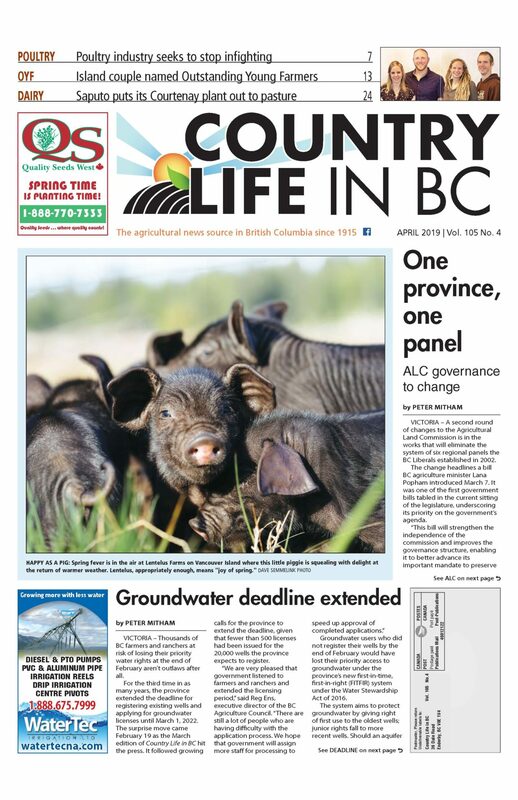 The province waived application fees on two occasions to encourage well registration and applications for groundwater licences, but troubles have dogged the process. To date, 428 licences for groundwater have been granted. However, all owners must pay for water drawn from wells since February 29, 2016. Come March 1, any unlicensed extractions will make criminals of users who have been unable to obtain licences, unless the province extends the deadline. The province now seems open to doing so, van der Gulik told a regular meeting of the board on January 9. Van der Gulik notes that any wells that are not licensed by the end of February will be considered new well applications. In addition to paying an application fee, they’ll lose their seniority in the first-in-time/first-in-right hierarchy the WSA establishes. This can be both costly, and licences may even be denied. But any well constructed and registered since the WSA rules took effect in 2016 is considered a new well. Many of these new wells will require technical assessments before receiving a licence. A technical assessment considers the quantity of water being drawn, the type of aquifer and the potential impacts on existing rights holders and environmental flow needs. Some assessments can be done on a computer in an office, but others will require a full range of technical studies, including site visits by a hydrologist and a pump test. These could run upwards of $30,000. “Any well drilled on a property more than about five acres will need a full assessment done,” says van der Gulik. Any well that’s been drilled but refused a licence following the assessment cannot be used. Owners that do will be drawing water illegally. The same thing could happen to an owner of a existing well if they fail to apply in time. Van der Gulik believes a pre-approval process similar to what happens for surface water should exist for groundwater extractions. Works for streams are not allowed to be installed until owners secure a licence. “Right now, a person constructing a new well can do so without any feedback from the province prior to the works starting. There should be some pre-approval process before a property owner goes to all that expense,” he says. The various issues underscore the need for more time.